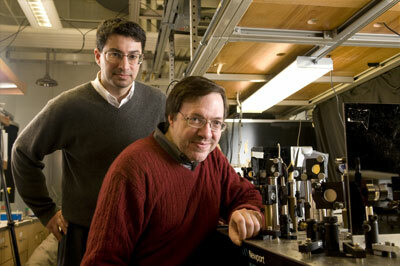 Scientists applied a new strategy to identify and characterize genes involved in endocytosis. 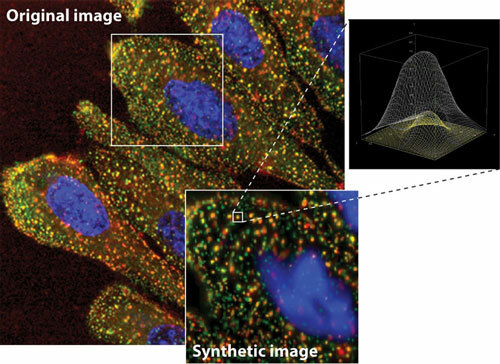 For that a combination of high-resolution microscopy and quantitative image analysis enabled the scientists to investigate the effects of a large number of genes. Wissenschaftler lassen Licht selbst die kristallinen Strukturen bilden, in denen das Licht dann effektiv geleitet und gespeichert werden kann. Diese Technik koennte zum Beispiel zur Herstellung hocheffizienter Flachbildschirme eingesetzt werden. Automation is becoming increasingly important in the field of biotechnology, and the only mean of simultaneously testing thousands of substances on cells, or of creating artificial skin models at competitive prices. 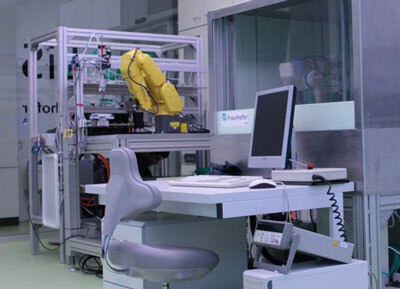 The location of Stuttgart Vaihingen, home to the Biopolis testing laboratory, which was officially opened on 9 February at the Fraunhofer Institute for Manufacturing Engineering and Automation (IPA), is playing a part in these developments. Three inaugural collaborative research projects awarded a total of $2million by A*STAR and Japan Science and Technology Agency. Is it possible to build supercomputers that can replicate the human brain, or to develop nanotechnology that can lead to an implantable chip for interfacing with neurons and other types of cellular networks? Speaking today at the 68th Annual Meeting of the American Academy of Dermatology (Academy), dermatologist Adnan Nasir, MD, PhD, FAAD, clinical assistant professor in the department of dermatology at the University of North Carolina in Chapel Hill, presented an overview of nanotechnology and how nanoparticles may eventually be used in cosmetic products. 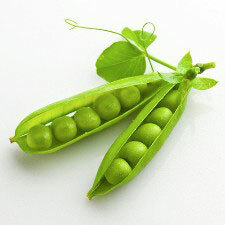 Isolating the minute crystals of the PSI super complex from the pea plant, researchers suggest these crystals can be illuminated and used as small battery chargers or form the core of more efficient man-made solar cells. 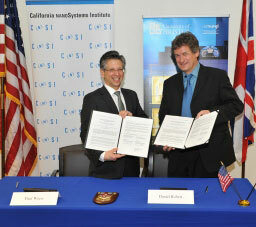 The California NanoSystems Institute at UCLA and the Centre for Nanoscience and Quantum Information at England's University of Bristol have entered into an agreement to expand research collaborations and educational exchanges in nanoscience and nanotechnology. Funded by a $1 million grant from the W.M. Keck Foundation, University of Chicago scientists are aiming to develop a reliable method for determining how biological processes emerge from molecular interactions. Researchers have shown a new, exclusive way to dramatically conserve the amount of water needed to manufacture semiconductors. Scientists from the University of Muenster and the Indian Institute of Technology have experimentally demonstrated for the first time the creation of 3D photonic crystals and quasicrystals with a plethora of geometries and forms purely by the action of light in a nonlinear optical material, which allows reconfigurable as well as scalable crystal and quasicrystal formation. 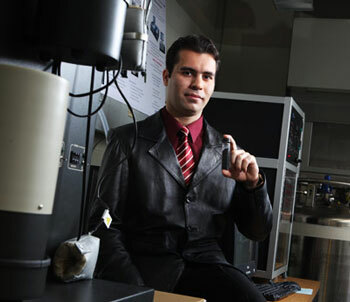 Determined to play a key role in solving global dependency on fossil fuels, Javad Rafiee, a doctoral student in the Department of Mechanical, Aerospace, and Nuclear Engineering at Rensselaer Polytechnic Institute, has developed a new method for storing hydrogen at room temperature. When a team of university and industry researchers tried a novel, foundry-style mold-filling technique to make nanoscale devices, they realized they had discovered a gem. 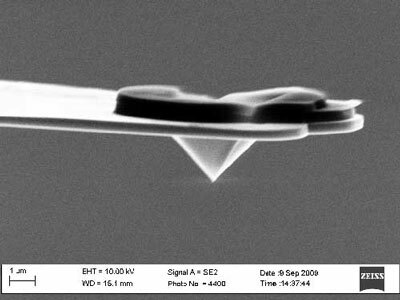 IBM scientists today unveiled a significant step towards replacing electrical signals that communicate via copper wires between computer chips with tiny silicon circuits that communicate using pulses of light.